It’s that time of year again when we look back to feature some of our favorite projects from 2018! If you want to check out 2017’s top installs, head over to the post here! There is nothing we love more than seeing the completion of a big renovation or collaboration. Especially when we get to sit back and look at a beautiful image of a finished space. This year we felt particularly lucky with the projects our tiles were involved in. 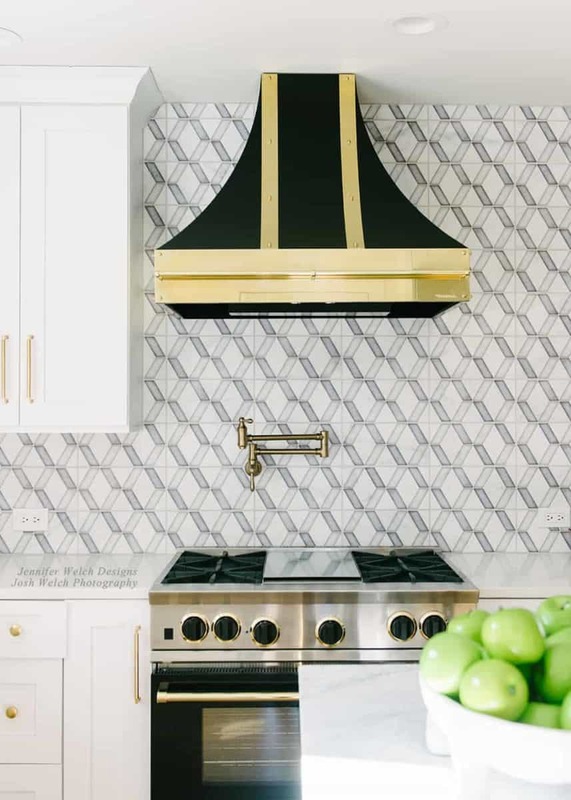 Some highlights from the last 12 months include features in the newly built boutique hotel, the Lido House Cottages, collaborating with Utah designer and blogger, Design Loves Detail, and being featured in a Tulsa kitchen designed by the star of Bravo’s Sweet Home Oklahoma, Jennifer Welch. 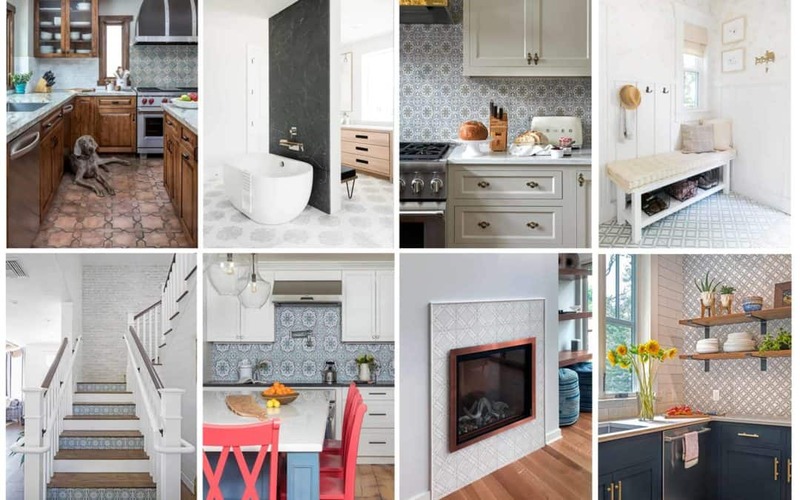 Check out these 14 stunning transformations from 2018. 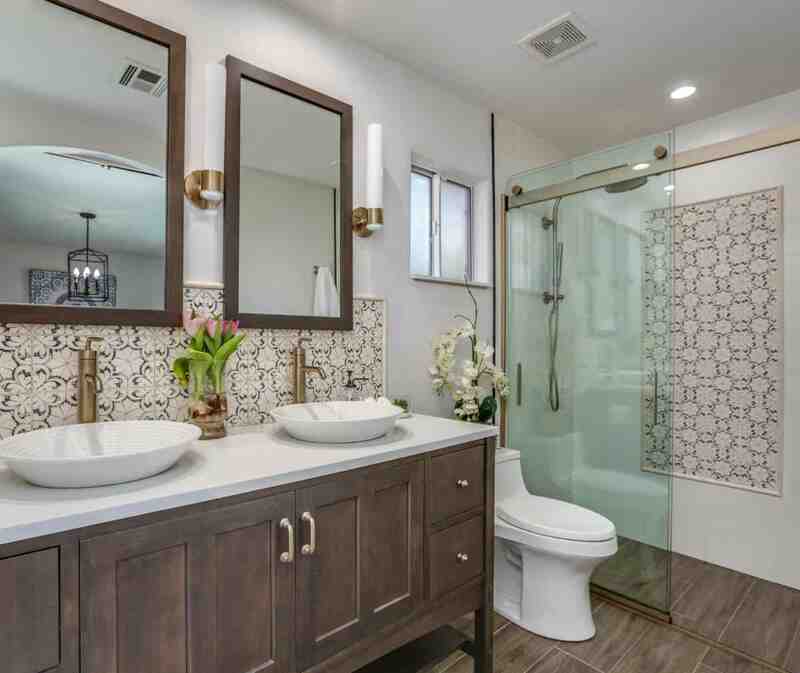 This craftsman style home in Sierra Madre, CA was recently remodeled by our friend Priscilla Christine over at Tap N’ Tile, featuring one of our timeless designs, the Altalena. 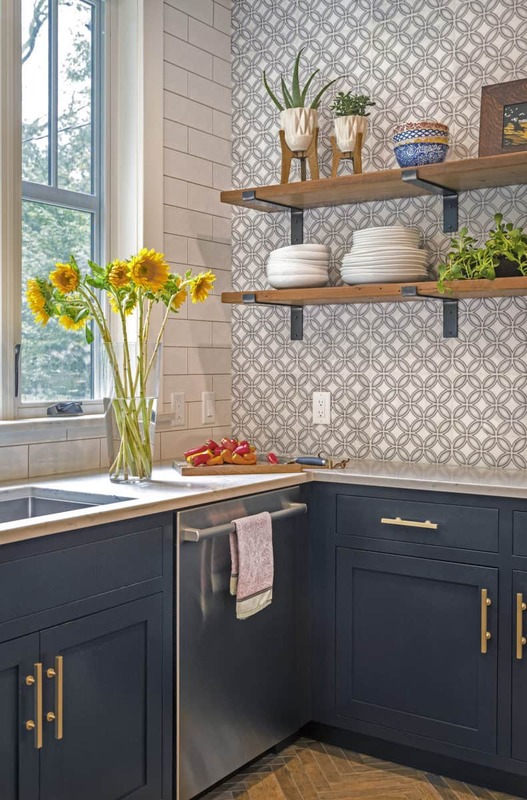 This kitchen is all about unique, yet cohesive, combinations of patterns, colors, and textures which puts a spin on the “California craftsman style.” This kitchen backsplash features the Altalena pattern in Azul on 6×6 limestone. Over the past few years, we have started collaborating with bloggers and interior designers on exciting home projects. Working with these designers has been nothing short of amazing and we are always left stunned by what they transform a space into. 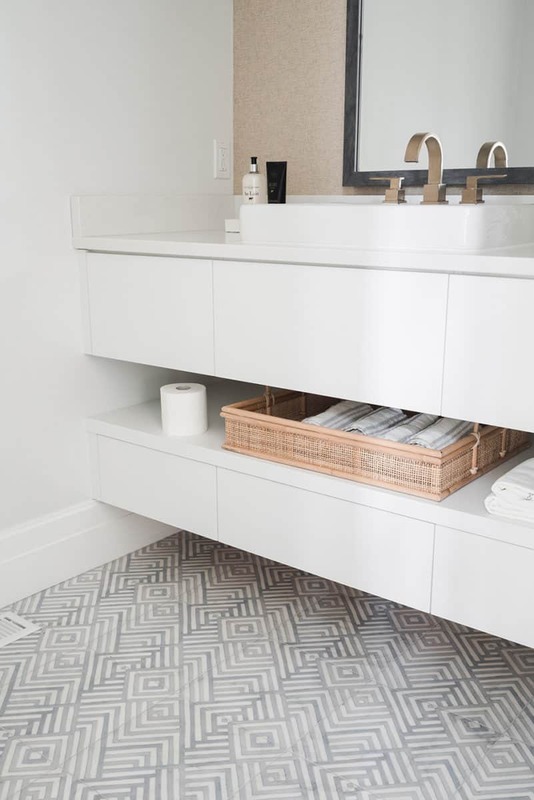 This past year we worked with Utah blogger Mollie Openshaw of Design Loves Detail, who used our tile in two bathrooms in her new home. The first space she tackled was the downstairs powder room in which she chose to have the floor as the main focus. 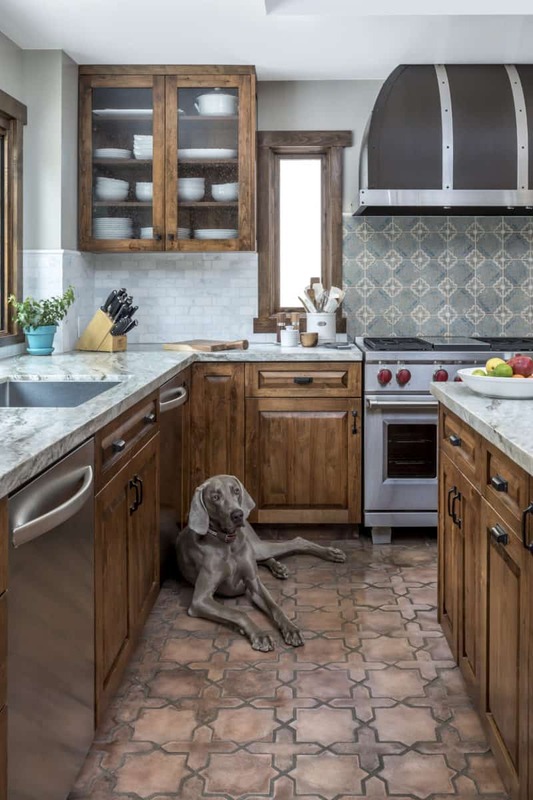 Mollie featured the in-stock Waterways pattern on 12×12 carrara from the Artisan Stone Tile line. This might be one of the most exciting and unexpected projects we were part of in 2018. 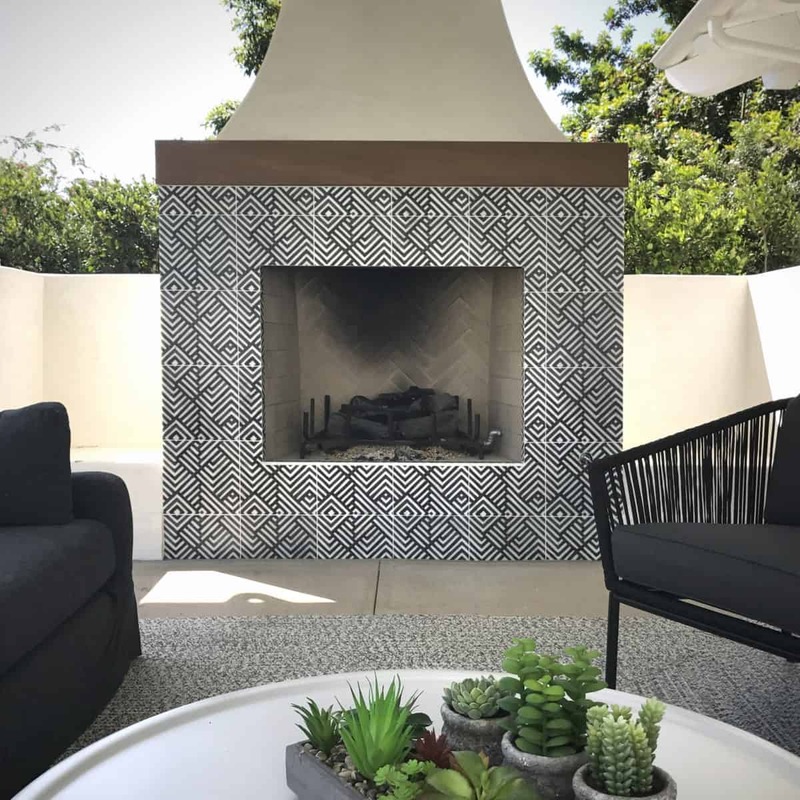 We have worked with Orange County design firm, Blackband Design, a few times but we had no idea they were planning on using our tile in a new boutique hotel, the Lido House. If a standard hotel room isn’t enough for you, the Lido House offers 5 unique cottages that were exquisitely designed by the hottest designers in Southern California. 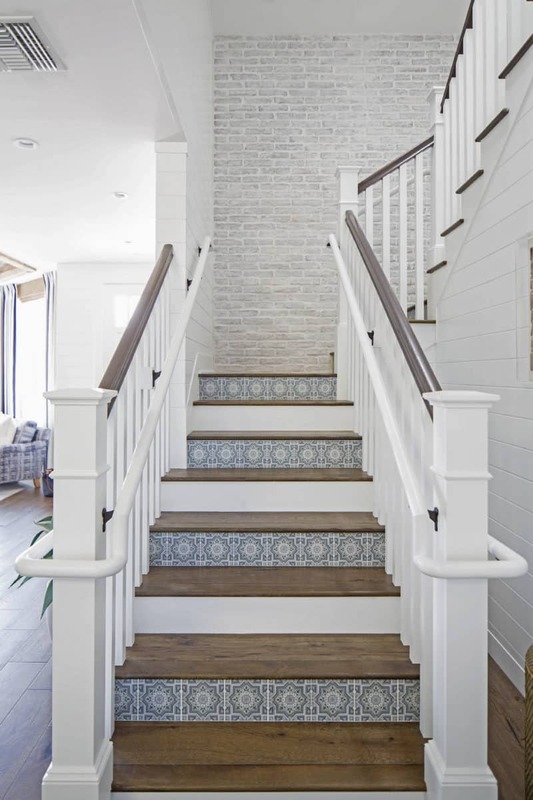 The Collins Cottage features the Cabrillo pattern from our made-to-order collection as decorative stair risers. Trends come and go but navy blue cabinetry in the kitchen will never go away. 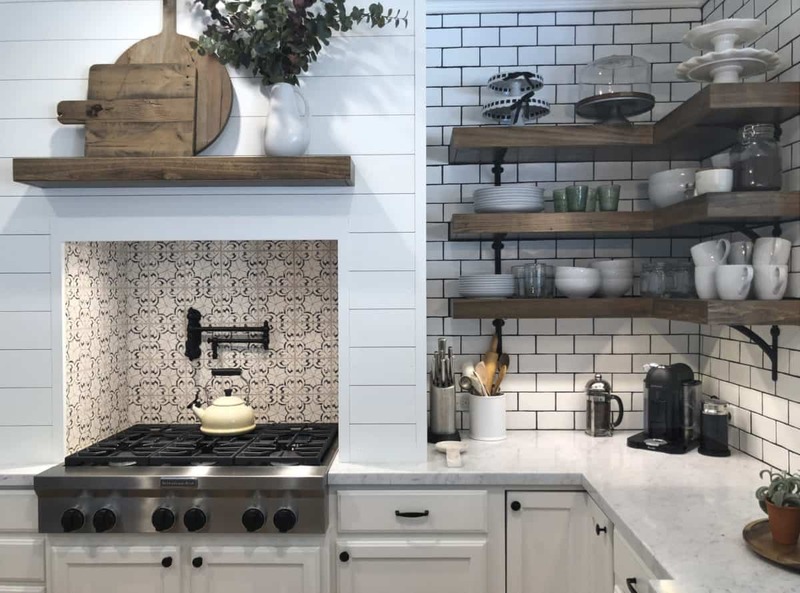 There are many reasons why we love this kitchen designed by Wendy Kuhn at Karr Bick Kitchen and Bath, but the rustic open shelving combined with the contemporary decorative tile might be our favorite. 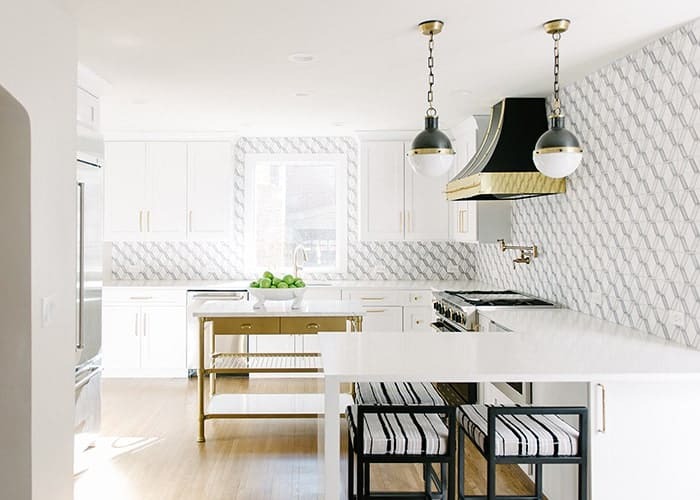 This St. Louis modern farmhouse kitchen features the Crescent Pattern on 12×12 carrara from our in-stock collection. This Contemporary Master Bath renovation is the second space where we collaborated with Mollie Openshaw of Design Loves Detail. 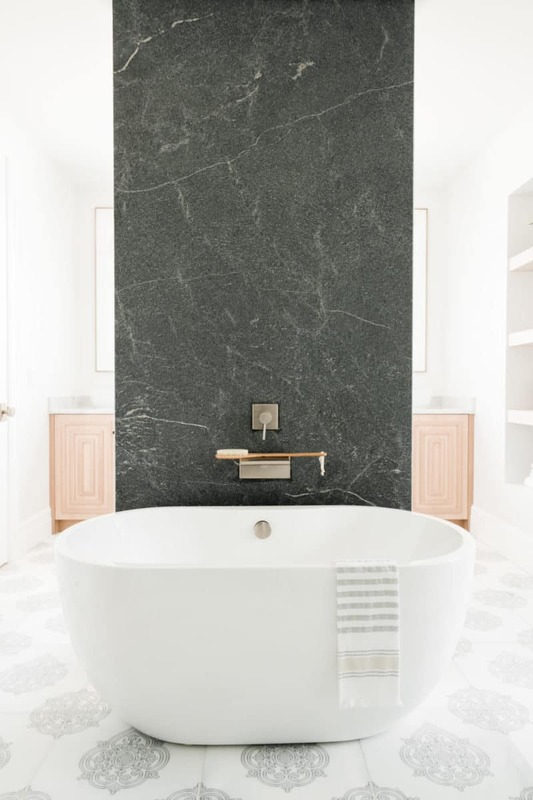 For this project, Mollie tackled her master bathroom and designed her space around three words: European, Modern, and Organic. 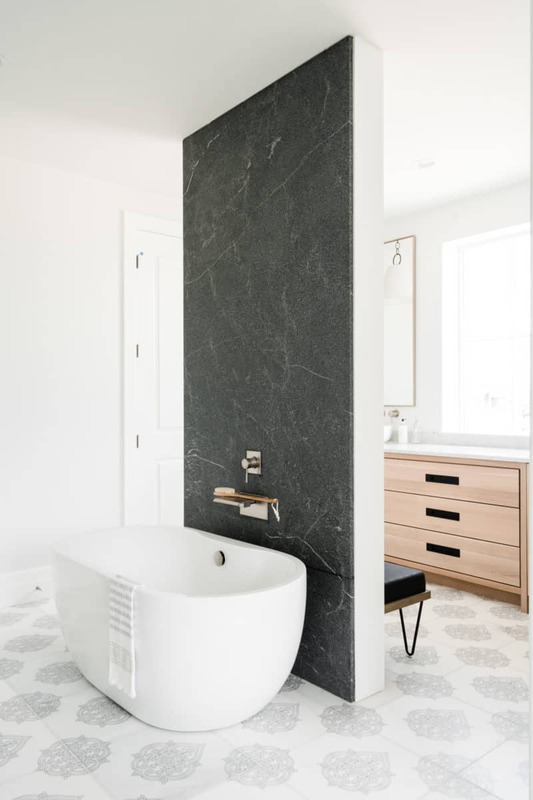 The transformation was truly unlike anything we have ever seen before, which featured the Caprice Pattern from our made-to-order collection on 18×18 carrara marble. 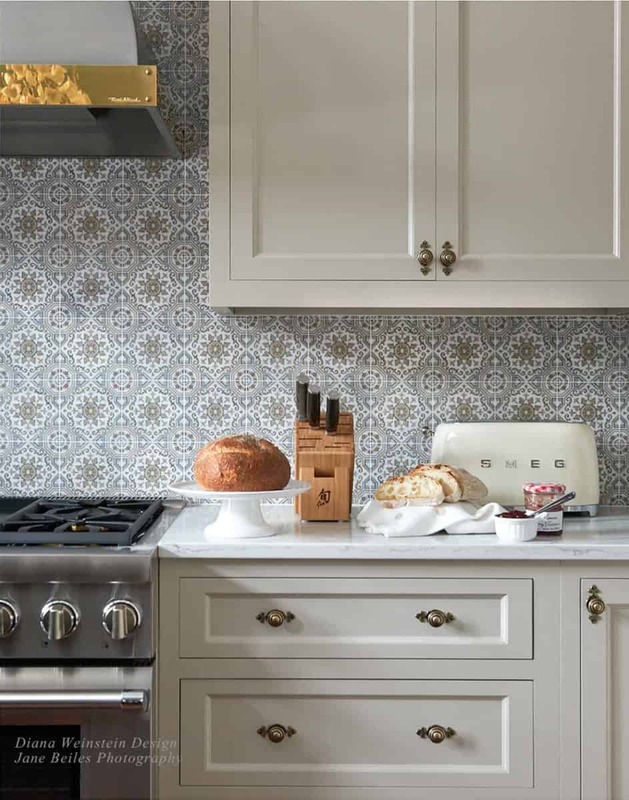 Boston Interior Design Firm, Bees Knees Interiors, designed this Moroccan-inspired kitchen which was recently published in the Boston Globe. 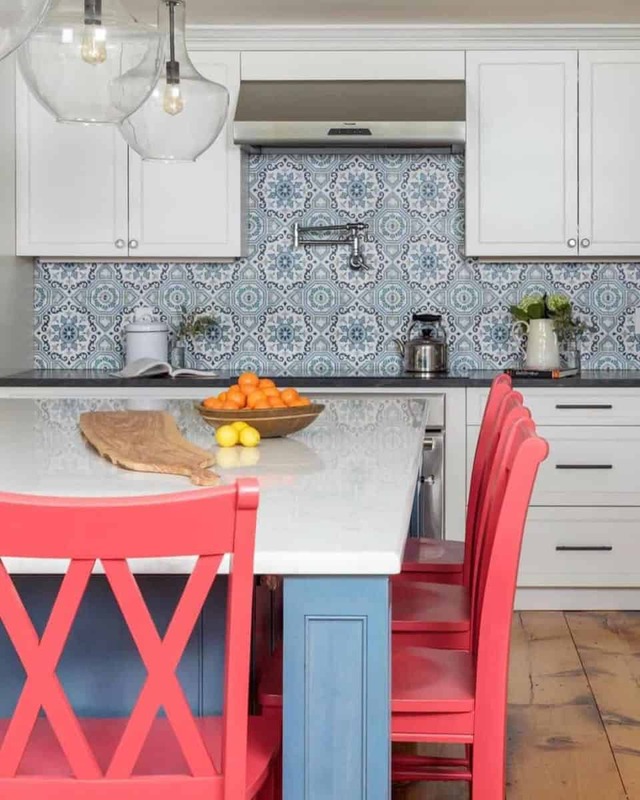 The contrast of red seating and blue Moroccan inspired tile is what makes this one of our favorite projects from 2018. 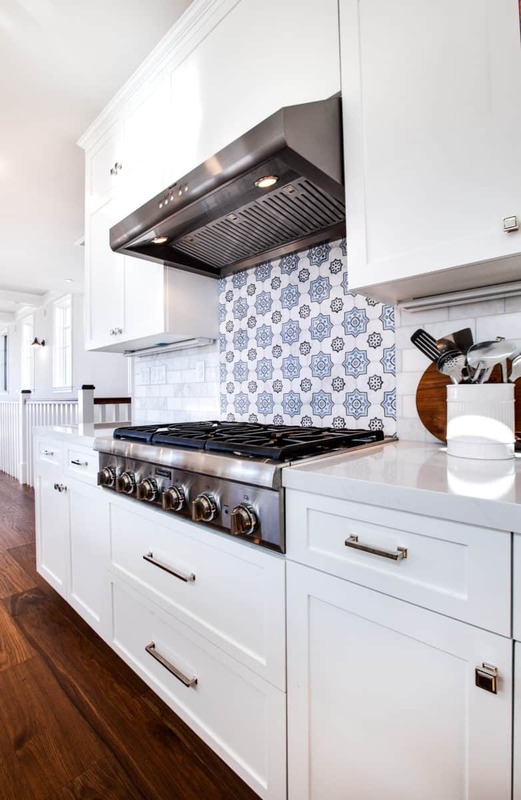 This kitchen features one of our most popular designs, Sanza, on 12×12 Carrara in Snowflake Blue from our in-stock collection, Artisan Stone Tile. If you’re a big fan of Bravo, chances are you’ve seen the show Sweet Home Oklahoma starring interior designer Jennifer Welch. We were surprised to tune in and see one of our tile collections featured in the first episode! Jennifer Welch used the Duo pattern from our in-stock collection to cover the kitchen walls in this transitional Tulsa kitchen renovation. The Duo is available as a 6×12 tile on carrara. We recently got the chance to take a tour of Jaclyn James modern farmhouse kitchen in San Diego which features one of our newest in-stock patterns, Oasis on 6×6 limestone. One of the reasons why this is one of our favorite projects from 2018 is that practically everything in it is DIY and made by Jaclyn. For a full tour of her kitchen (that she remodeled herself), head to this post. Details, details, details. Interior designer Diana Weinstein beautifully paired different colors, patterns, and textures together to create a cohesive, yet unique kitchen for her New Jersey client. 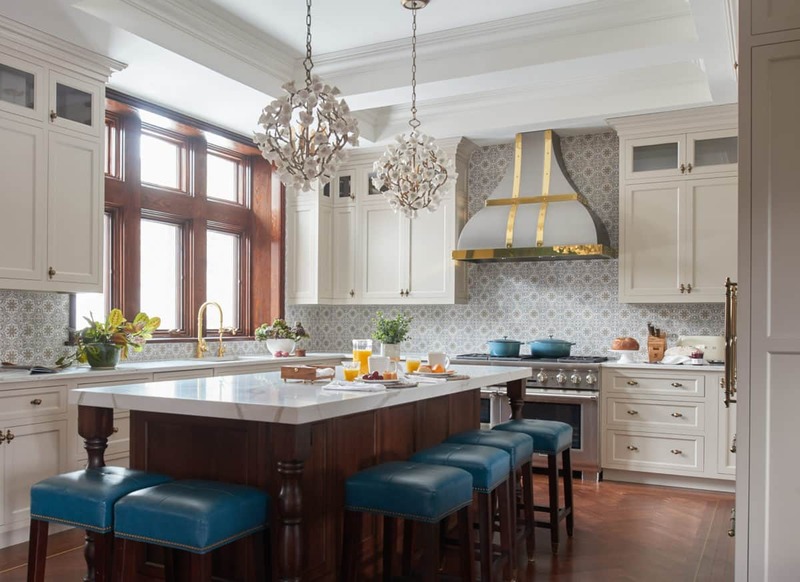 From the ornate light fixtures to the turquoise bar stools and the contemporary patterned tile, Weinstein designed a one-of-a-kind and distinctive kitchen. This transitional kitchen features the Sanza pattern in Sesame on 6×6 carrara. Why is this fireplace transformation one of our favorite projects from 2018? 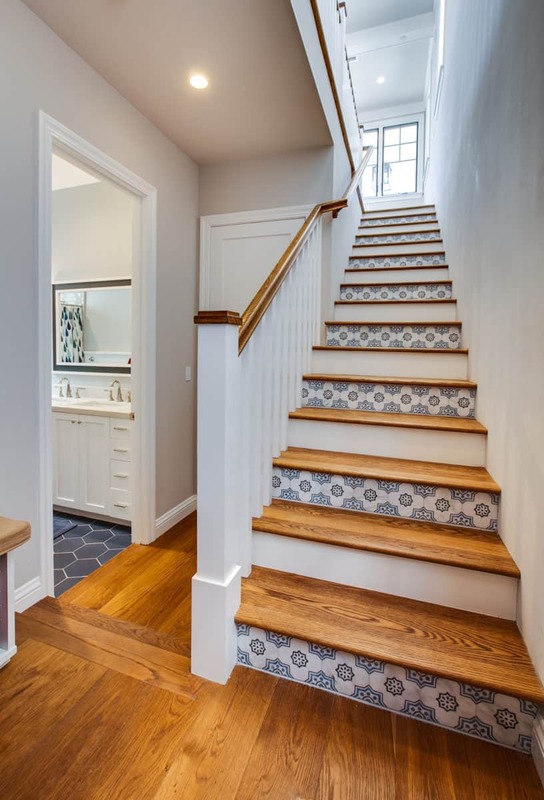 The designers at In Home Stone in Maryland mixed boho chic decor with a geometric pattern tile to create a contemporary, yet Scandinavian vibe in the living room. 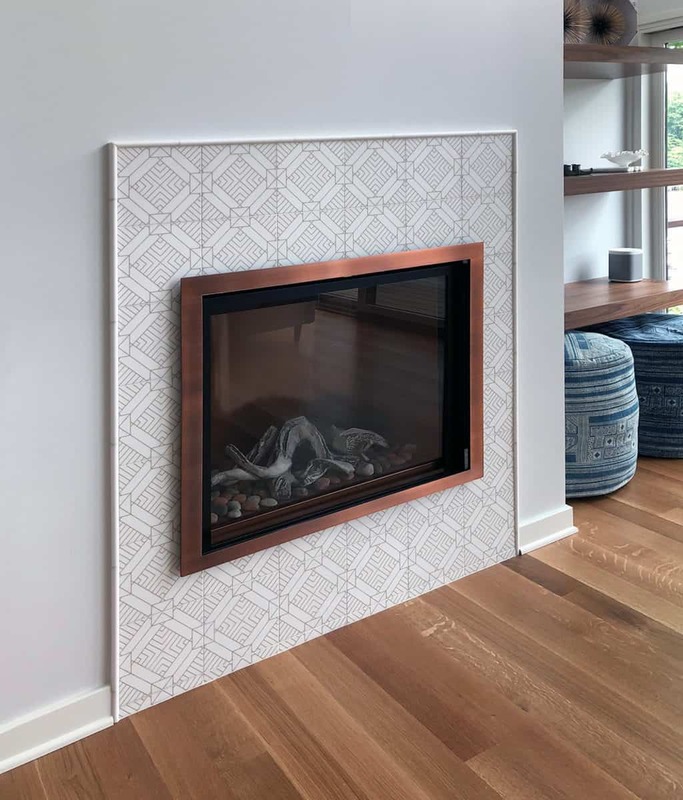 This fireplace features the Aurum pattern from our made-to-order line on 6×6 honed thassos. Over the past 3 years, we have started collaborating with design bloggers on fun renovations and we have truly loved doing it. This New England mudroom is the third project we have done with Toronto interior designer and blogger, Jacquelyn Clark. 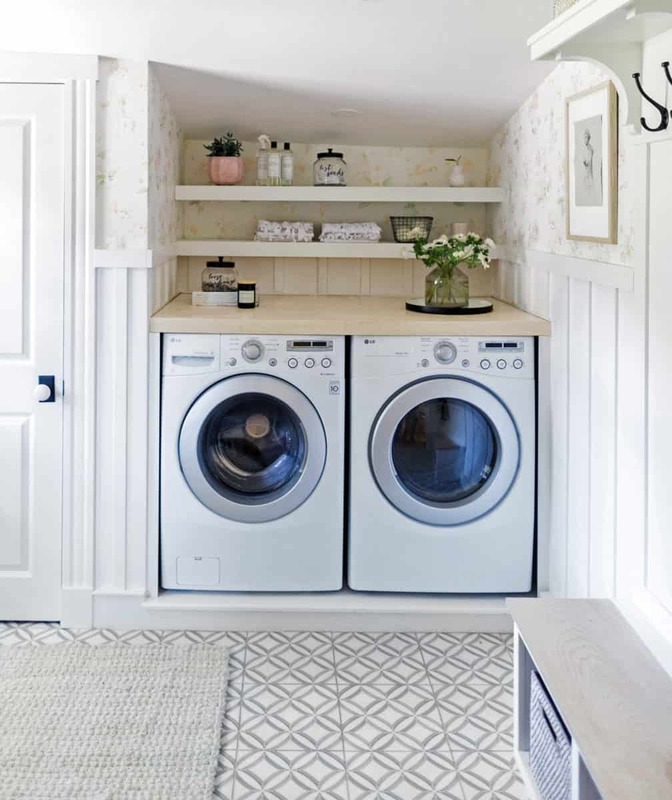 Jacquelyn transformed her clients unheated, detached shed and turned it into a whimsical mudroom and laundry room. 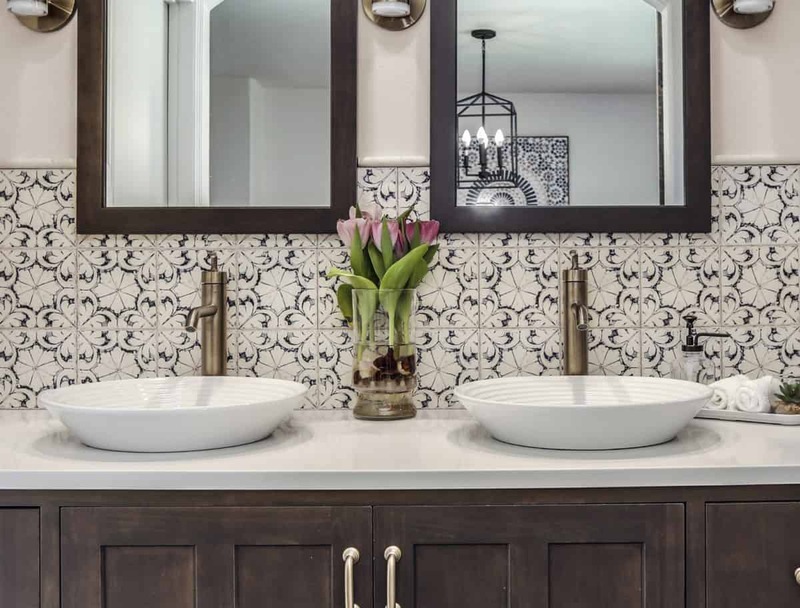 This project features the Ellipse pattern on 12×12 carrara from our in-stock collection. There will always be something timeless about a coastal cottage renovation. 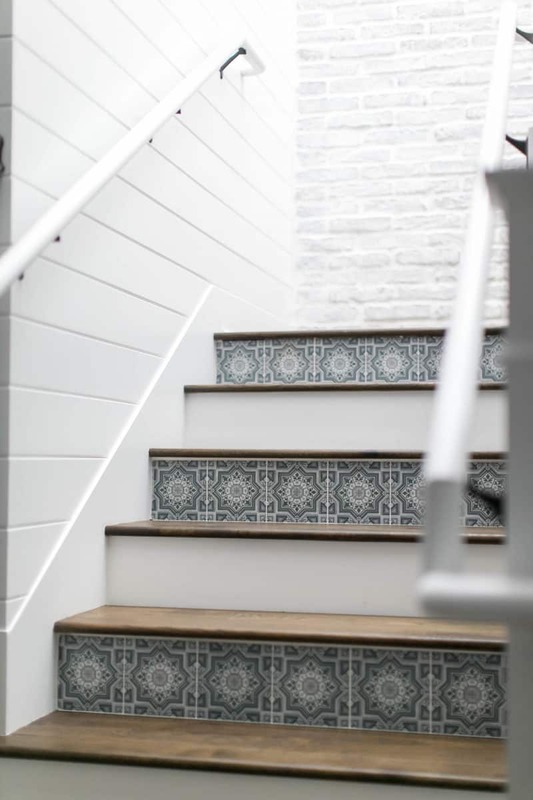 Alison Designs effortlessly created a light, California coastal vibe in this Manhattan Beach renovation by featuring the Chapman pattern on 6×6 carrara as the kitchen backsplash and stair risers. Another exciting show we were able to be a part of this year was the new hit HGTV show, Desert Flippers. 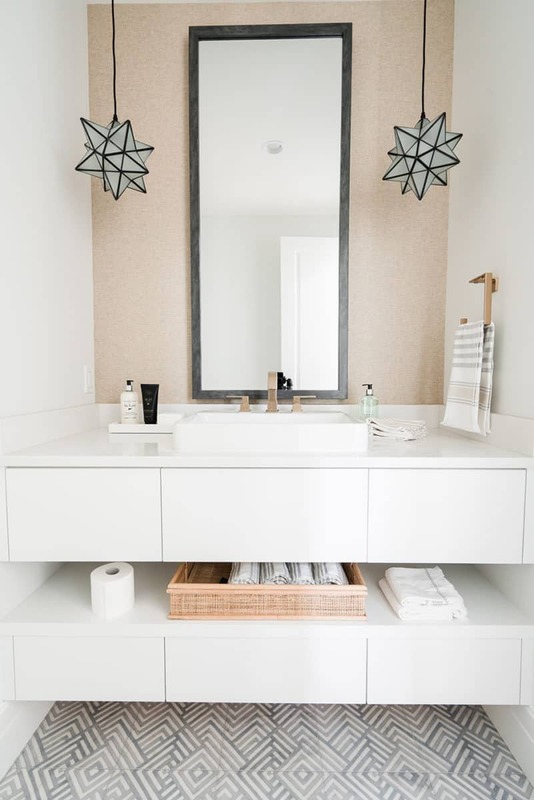 For this Palm Springs guest bathroom, the husband and wife design duo chose to feature the Oasis pattern on 6×6 limestone as the sink backsplash and shower wall feature. This year has been all about exciting new collaborations and projects. One of those projects included being a sponsor in Modernism Week’s feature home, La Vie en Rose, designed by Palm Springs interior designer, Christopher Kennedy. 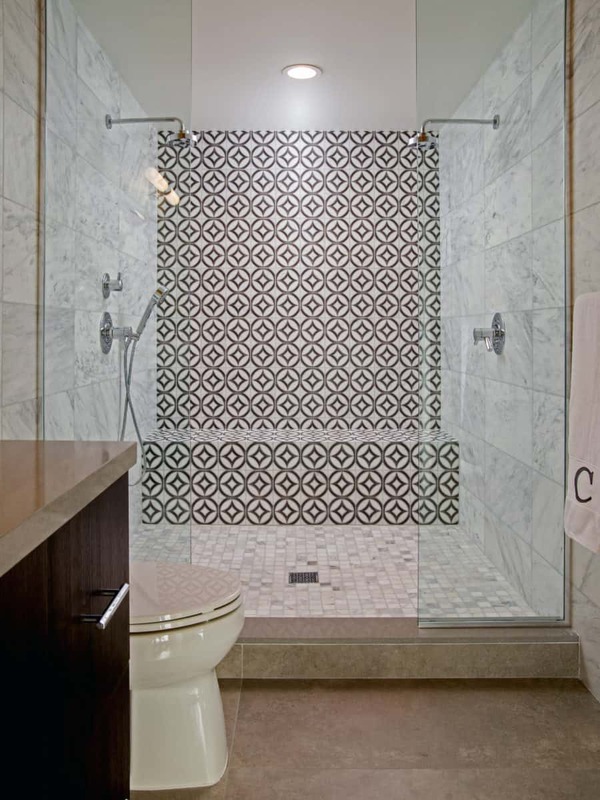 The Hayden Duo Listello from our in-stock collection is featured as the shower wall in the guest bathroom.